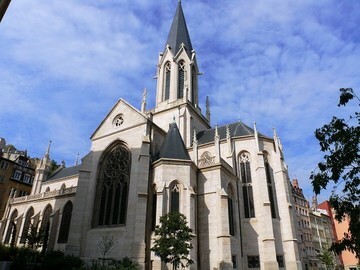 The 19th-c. church was built by the architect Pierre Bossan in a Neo-Gothic style. It is listed as a Historical Monument. It has a 7-bell electric carillon by Burdin, Morel and Chevalier created in the mid-19th c.